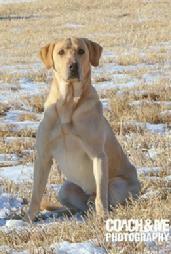 We are a family owned and operated kennel located outside Cottonwood, MN. For 11 years we have taken pride in producing dogs that have a ton of go in the field but will relax and behave in the home. 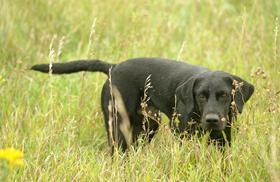 We produce dogs for the hunter, hunt tester and family. At Northstar we are dedicated to providing our customers pointing labs with personality, smarts, drive, point and great looks. Our dogs come from strong backgrounds and they prove themselves to us where it counts in the field! 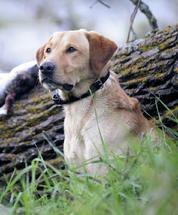 Our dogs are put to the test every fall in the fields of South Dakota. If you would ever like to see our dogs work, we would love to show you. 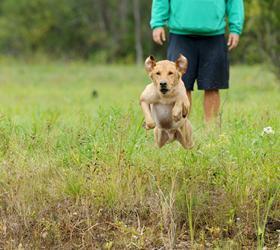 We are a full time training facility that also offer stud service, started dogs and puppies. Please enjoy the website and let us know of any questions you may have on any of our dogs! We have many references for all aspects of what we do here ! & Our You Tube Page ! Check out 2018 OUR LITTERS PAGE For upcoming Pairings!